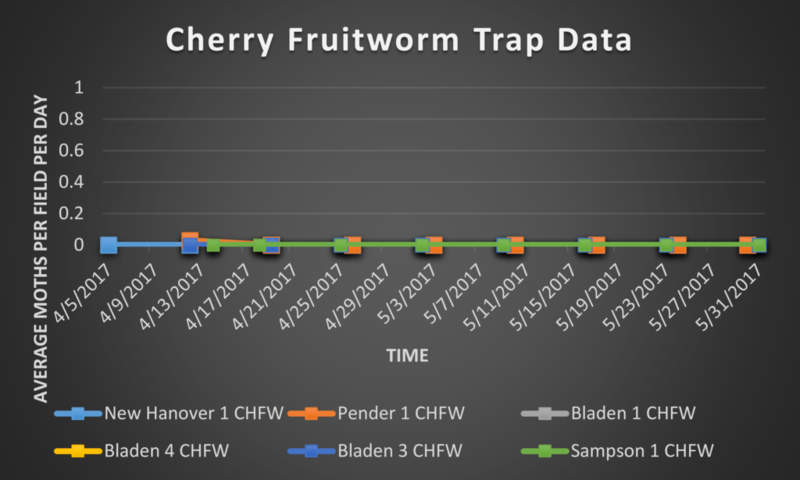 Despite the rainy weather last week being favorable for spotted wing drosophila, trap counts continue to drop. 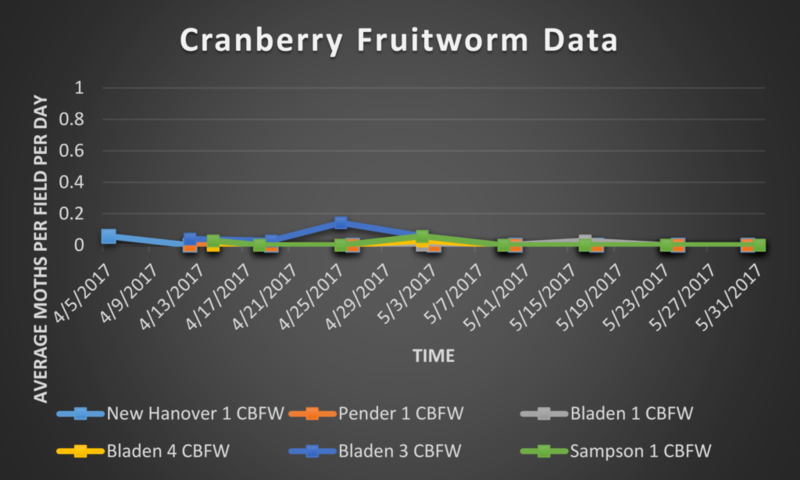 No cranberry fruitworm moths or cherry fruitworm moths have been seen in our traps for weeks. 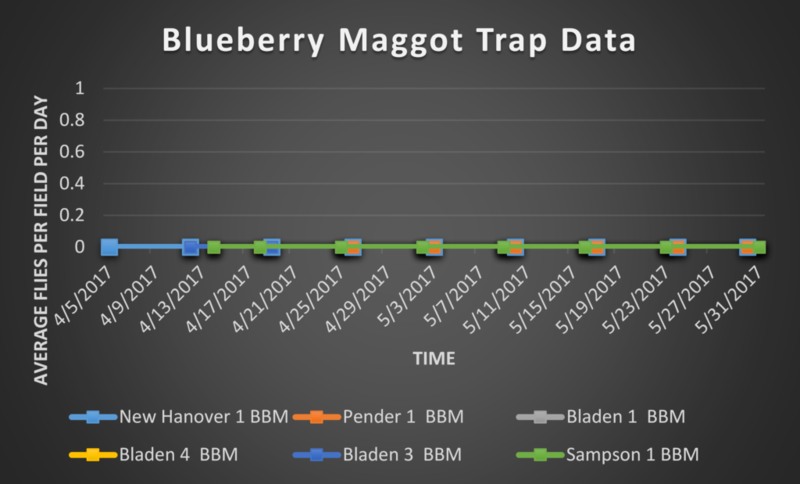 Those traps will be taken down in the following week of scouting. 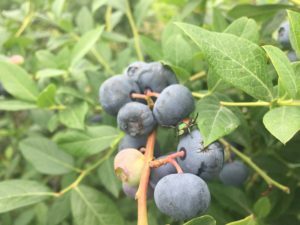 We will continue monitoring for SWD, and blueberry maggot fly until the end of harvest. 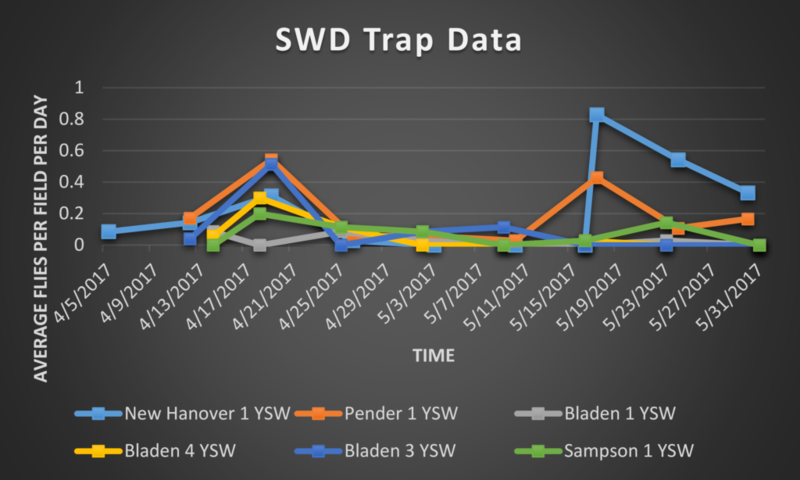 During this trapping period, 9 SWD were captured at New Hanover 1, 5 SWD were captured at Pender 1, 0 SWD were captured at Bladen 3, 0 SWD were captured at Bladen 1, 0 SWD were captured at Bladen 4, and 0 SWD were captured at Sampson 1.